Each year in Central Ohio, we celebrate the work of Professional Engineers by observing National Engineers week, a celebration dedicated to ensuring a diverse and well-educated future engineering workforce. This year the annual Engineers Week Luncheon will be held on February 21st, 2019 at Bridgewater Conference Center, 10561 Sawmill Pkwy, Powell, OH 43065. This year we will be hosting an in depth presentation on Hyperloop technology from current experts in this field discussing its possiblity as a future means of transporation in Central Ohio. Join fellow engineering colleagues and students for an excellent networking and mentoring opportunity, as well as a delicious meal during the presentation. Registration will begin at 11:00 AM. Lunch program to begin at 12:00 PM. Deadline for registration is February 7 at 5:00 PM. Advanced registration and payment is required. You can sponsor this event. For questions, please contact Sean Oatman sean.oatman@ohm-advisors.com). Thea Walsh, MORPC Director of Transportaion Systems & Funding. Choice of Chicken, Pork or Vegetarian entrée. Sorry, but this luncheon is not eligible for Continuing Professional Development (CPD) hours. Representing all of the Ohio sections of ASCE, the ASCE Ohio Council has become a member of the Fix Our Roads Ohio (FOR Ohio) coalition. As we all know, Ohio’s infrastructure lacks sufficient investment and impacts every Ohioan each day. As we enter the new DeWine administration, sharply reduced funding for vital improvements to Ohio’s deteriorating roads and bridges presents a major economic and transportation problem. FOR Ohio is a coalition of local government officials, transportation industry stakeholders, local chambers of commerce, major roadway users, and others joining to advocate for adequate infrastructure funding in the upcoming biennial Ohio transportation budget. The coalition is aiming to educate Ohio citizens and policymakers on the critical needs of Ohio’s transportation system, and pushing for funding solutions that provide a long term, smart investment in Ohio’s transportation future. Ohio has the nation’s second largest inventory of bridges, the fourth largest interstate highway system, and the third highest freight volume. While our transportation needs are significant, the Ohio Department of Transportation (ODOT) projected FY2020 budget is 29% less than FY2014. For additional information including a case statement and supporting information, please visit https://fixourroadsohio.com/. July 20, 2019 will mark 50 years since the first manned landing on the surface of the Moon. It is fitting, therefore, to look back at that exciting period and review the roles that geotechnical engineers have played in space exploration, with particular reference to the soil materials and their properties and soil mechanics and geotechnical engineering on the Moon. In this illustrated presentation, the geotechnical activities that formed a part of the six successful Apollo missions will be described, including early speculation about the soil conditions, what soil is really there, sampling and in-situ testing, astronaut activities, unusual data sources, and contrasts with terrestrial soil behavior and mechanics. Soil conditions on Mars, as determined by past and ongoing unmanned explorations will also be discussed. Finally, some conclusions will be stated concerning future construction on, in, and with these soils. Jim Mitchell received his B.S. in Civil Engineering from Rensselaer Polytechnic Institute (RPI) in 1951 and the S.M. and Sc.D. degrees from the Massachusetts Institute of Technology in 1953 and 1956. From 1958 to 1994 he was on the CEE faculty at the University of California, Berkeley and served as Department Chair from 1979-1985. His teaching, research and consulting activities focused on soil behavior, soil stabilization, ground improvement, lunar soils, environmental geotechnics, and mitigation of seismic risk. He was the Principal Investigator for the Soil Mechanics Experiment during the Apollo Program missions to the Moon. He joined the faculty at Virginia Tech in 1994 and now is University Distinguished Professor Emeritus and Consulting Geotechnical Engineer. He was the 2006 recipient of the ASCE Outstanding Projects and Leaders Award (OPAL) in Education. He is an elected member of the United States National Academy of Engineering and the National Academy of Sciences. The lecture is sponsored by The Ohio State University, Department of Civil, Environmental and Geodetic Engineering, and co-sponsored by the Central Ohio Geo-Institute Chapter. The T.H. Wu Distinguished Lecture is a signature event in the Department of Civil, Environmental and Geodetic Engineering. Presented yearly, the lecture features prominent scholars and practioners in the field of geotechnical engineering. The lecture is held in memory of Dr. Tien H. Wu, professor emeritus and former chair of CEGE. The T.H. Wu Fund, endowed on June 24, 2011, promotes excellence in civil engineering by way of lectures by eminent practitioners and academics in the profession. Below everything in Columbus, Ohio, there is the tunnel. Beneath buildings, bridges, interstate highways, railroads, and even below the Scioto River. And it is making a huge difference. The new OARS-OSIS Augmentation & Relief Sewer has been honored by ASCE as a finalist for the 2019 Outstanding Civil Engineering Achievement award, the Society’s preeminent project honor. All five OCEA finalists will be recognized at ASCE’s 2019 OPAL Gala, March 14, in Arlington, VA, with the OCEA winner revealed at the end of the event. The OARS tunnel, designed to reduce combined sewer overflows in downtown Columbus for a 10-year wet weather flow prediction, is the backbone of the Columbus Wet Weather Management Plan. Nearly two billion gallons of combined sewage overflows receive treatment instead of ending up in the river each year. This benefits over one million people and brings the city into compliance with the Clean Water Act. At a cost of $370 million, the project is the largest capital improvements project in Columbus’s history. Not only does the 20-ft-diameter tunnel provide relief to the existing 82-year-old Olentangy-Scioto Interceptor Sewer (OSIS), but it also eliminated 13 downtown overflows and made development possible along two landmark parks, helping transform the old riverfront into a vital public green space. Tunneling the entire relief sewer allowed the system to become operational eight years earlier than what was originally planned, which was four phases of what is called open-cutting. The additional storage volume provided by the larger tunnel also meant no future need for above-ground storage structures or a high-rate treatment system, and this saved an estimated $175 million. Lead design firm DLZ developed a way to tunnel through the karstic limestone found at the site, and while this prevented surface settlement, it made for a very difficult setting for the use of the high-pressure groundwater inflows. A “reverse-flow grout procedure” also had to be created to replace rock cutters during drilling. But the OARS tunnel gives conveyance capacity for all storms, handling peak flows of up to 1,700 million gallons per day and making the Columbus Department of Public Utilities, and the citizenry, happy indeed. In fact, there were no surface impacts throughout. Complete with shafts open to the fresh air, the tunnel is 180 feet below the city and extends from the Arena District to the Jackson Pike Wastewater Treatment Plant. The American Society of Civil Engineers is looking for striking photographs of bridges, taken in the United States or abroad, that highlight design and engineering achievements of civil engineers. Contestants must be individuals over 18 years of age or engineering firms, and they must be the creator or owner of their submitted photographs. Contestants may enter up to 5 photos. Each individual photo may not be entered in more than one category and must be watermark free. Cash prizes will be awarded, and all submissions are eligible for inclusion in our next Bridges Calendar. In addition, 12 photographs will be selected as finalists for the Viewer’s Choice Award, which will be voted on by the general public. To enter, contestants must complete the online entry form below and upload the photographs as directed. Details about the contest, including eligibility requirements and category descriptions, are available in the 2019 Official Rules. (All are welcome! You do not need to be a member to attend) Please register by noon, Friday, Feb 16, 2019. Follow our secure Link to pay by credit card. ACI member dinner price is $35. Non-Member dinner price is $40. Student price is $15. If your plans change, please cancel or send a “replacement guest.” Questions or Special Diet Needs Requests to Edwin.Gebauer@gmail.com or David.Holtzapple@korda.com Dinner includes salad, roll, chicken, vegetable, starch, desert, coffee and tea. Internally cured (IC) concrete has emerged over the last two decades as a method to reduce cracking in concrete and improving the durability of bridge decks. Internally cured concrete consists of using “water-filled inclusions” to supply water when needed to the cementitious matrix. Internal curing has the potential to produce higher performance concrete with increased resistance to early-age cracking and enhanced durability. There are numerous laboratory studies and full-scale placements in New York and Indiana have demonstrated that internal curing can be used successfully! In 2010, Bridge decks in Indiana demonstrated higher strengths and lower fluid transport properties were observed. In addition, the internally cured bridge deck was uncracked after placement while the conventional deck contained three visible cracks. Concrete bridge decks cast in New York have shown similar strength, improved transport, and reduced cracking. Presentation will review results from those projects, document the service life that can be expected, and discuss how specifications may be developed to move from special specifications toward more general performance specifications. SPEAKER: Jason Weiss is with Oregon State University as Head of School of Civil and Construction Engineering. He is the Edwards Distinguished Chair in Engineering and the Director of the Kiewit Center for Infrastructure and Transportation Research. 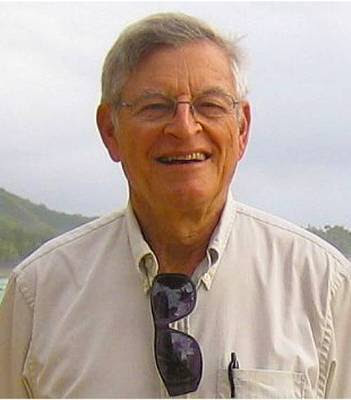 Prior to Oregon State, he was a faculty member at Purdue University for over 16 years where he held the position of the Jack and Kay Hockema Professor of Civil Engineering and Director of the Pankow Materials Laboratory. He earned a B.A.E. from the Pennsylvania State University and a MS and PhD from Northwestern University in 1997 and 1999 respectively. He is actively involved in research on cement and concrete materials specifically focused on early age property development, cracking, transport in concrete, and concrete durability. Specifically, he is known for research his group has performed in the areas of shrinkage and cracking reduction, the use of the ring and dual ring test, use of electrical resistivity and the formation factor, use of internally cured concrete, and concrete pavement durability. Dr. Weiss has taught courses in civil engineering materials, concrete materials, service life, repair and non-destructive testing. His primary research interests are in the area of early age shrinkage cracking and mitigation as well as service life sensing and prediction. Dr. Weiss has authored over 400 publications with over 200 peer-reviewed journal articles. He is recipient of the NSF Career Award, the RILEM L'Hermite Medal, the ACI W. P. Moore, ACI Young Member, ACI Philleo, and ACI Wason Awards, the ESCSI Erskine Award, the TRB Burgraff, AFN040 section award, and Mather Awards for outstanding research and publications, the ACPA Knutson award, and the ASCE Huber Award. He is a fellow of ACI and is also the recipient of the Wansik, Munson, Buck, and Burke award for outstanding teaching/advising in the School of Engineering, the Potter award for outstanding teaching in the College of Engineering, the University Murphy Award for undergraduate teaching, and has been inducted into the Purdue Teaching Academy. He is also a primary author of the durability tests for the Performance Engineered Mixtures and Performance Related Specifications programs underway at FHWA. He is currently the Editor-in-Chief of the American Concrete Institute’s Journal of Materials and is the former editor in chief of the ASTM journal of Advances in Civil Engineering Materials and the RILEM journal Materials and Structures.